The Shire of Omeo (1872-1994) was proclaimed in 1872. Situated in the Great Dividing Range in East Gippsland, the former shire was mountainous and forested. 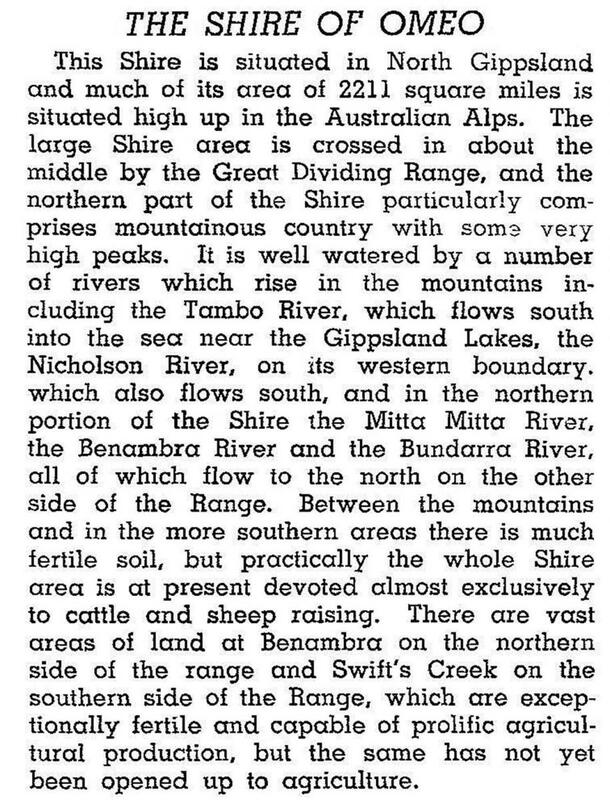 The small population was mainly distributed in the valley of the Tambo River and on the Omeo Plains. The administrative centre was at Omeo, with smaller towns at Swift’s Creek and Benambra. The Omeo Highway traversed the former shire from south to north, providing a link between Gippsland and north-east Victoria. The area was very auriferous. 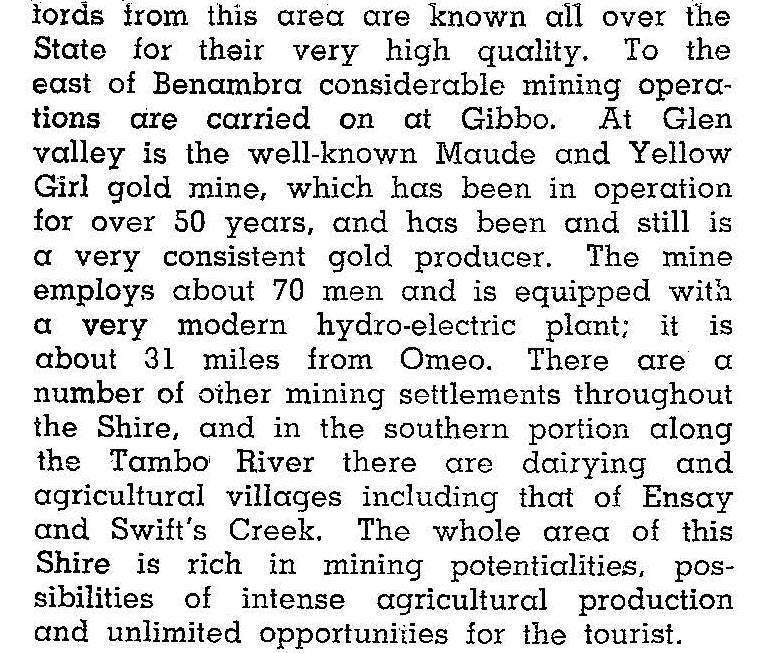 Many small goldmining settlements sprang up from the 1850s, with larger fields at Omeo, Cassilis and Glen Wills. In recent years timber milling and grazing were the main pursuits, with tourism a growing industry around Omeo. In 1994 Omeo Shire had 188,000 sheep, 51,000 lambs, 36,000 meat cattle and 560 dairy cattle. Benambra, Cassilis, Ensay, Glen Wills, Omeo and Swifts Creek entries.